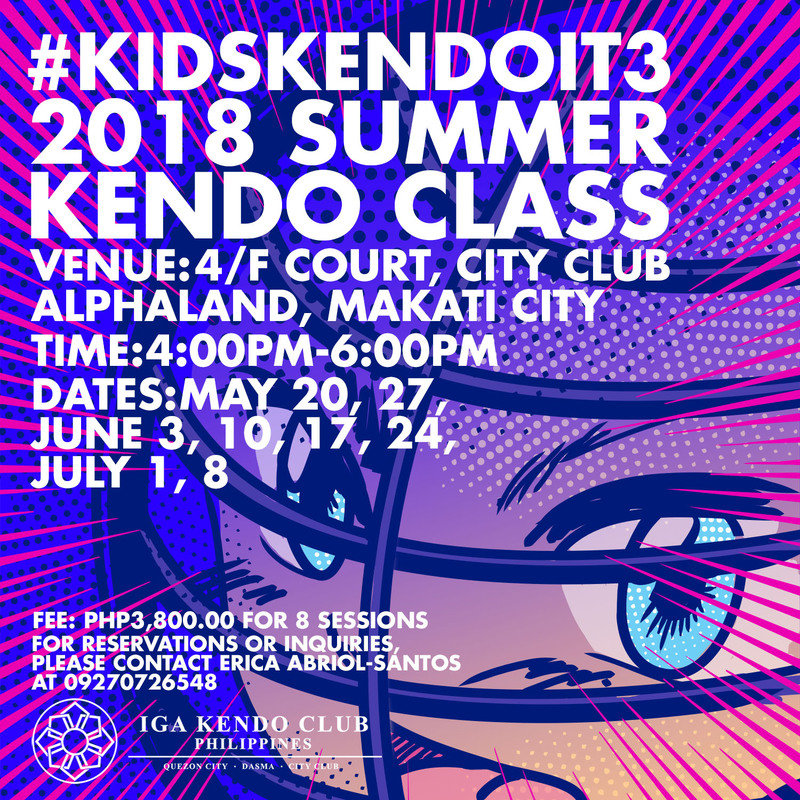 IGA Kendo Club Philippines is proud to announce its third installment of the #KidsKendoIt summer program offered in our two dojo in Makati City. It’s an 8-session program designed to accommodate kids age 5 and up – as in including teenagers, young adults, parents/guardians. This doubly serve as a bonding activity with the siblings/parents/guardians during the school break. Note: Program fee is exclusive of equipment. You may rent the bamboo sword for 8 sessions at Php 1,000 or buy a new one for your personal use at Php 2,500. You are always welcome to see what Kendo training in our club looks like. Just drop by at our City Club Dojo or Dasma Dojo where we’ll be offering the summer classes starting this May. See you at the dojo and let’s enjoy Kendo! 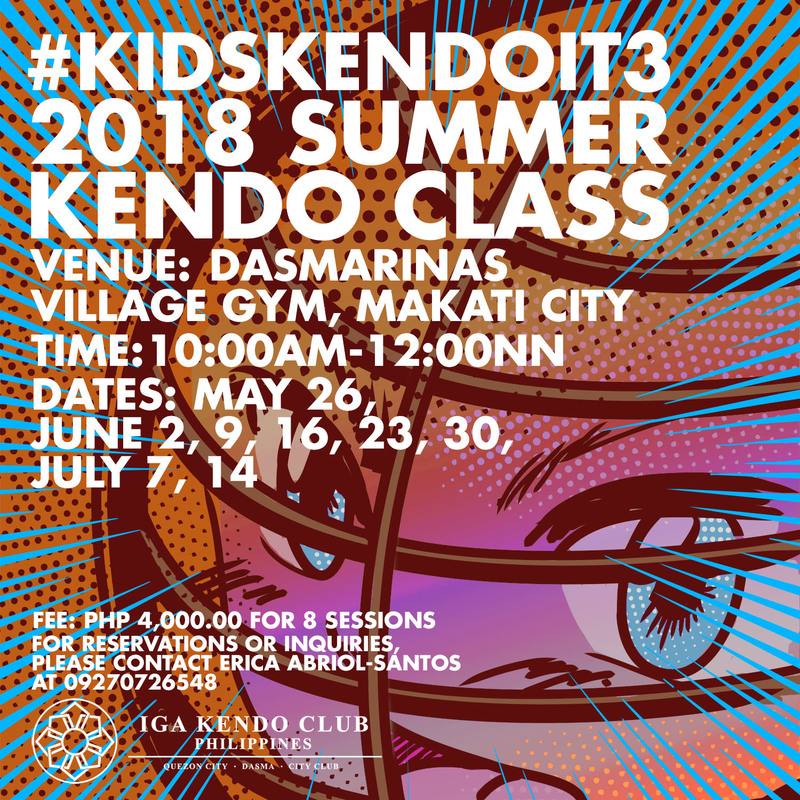 This entry was posted in Uncategorized and tagged I Love Kendo, igakendoclub, kendo, kendoPH, kids workshops, kidskendoit, Makati City, Philippine Kendo, pilipinaskendo, summer program, summer workshops. Bookmark the permalink.